Any avid golfer who watches The Golf Channel has likely seen hundreds, if not thousands of golf infomercials. 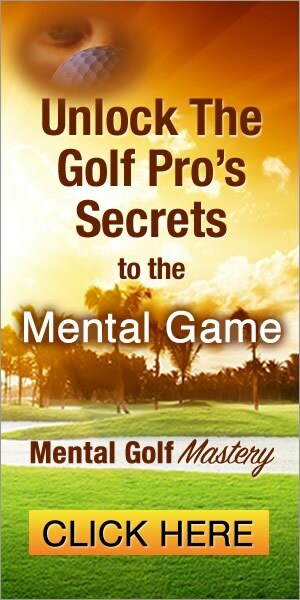 They’re all quite similar – a spokesman who has 1-2 PGA Tour wins promises to fix your golf game, mid to high handicappers are shown with their swings magically being fixed, and they all seem to take place in Arizona with the mountains as a backdrop. Their claims are ridiculous, and the product designs are even more laughable. But the truth is that there are tons of golfers buying them. Why do you think they keep purchasing advertising space? It works! I gave all of them a fair shake and tested them out. In this article, I’ll explore how each product performs against its claims, and whether or not any of them are worth purchasing. The GX-7 Metal is arguably the most popular of all the golf infomercial products in recent memory. I just had to know how this thing performed. Granted, I am not the target market for the GX-7, but I wanted to try out the club to see what kind of results I got. I’ve tested a ton of equipment over the last several years and learned a lot about clubs from some of the best in the industry. I can tell you that many of the claims they make are very suspicious (before even trying the club). So I ordered a GX-7 in a stiff flex to accommodate my swing speed of about 105 mph with my driver. The GX-7 driver is not particularly impressive when you see it in person; it looks like a budget golf club. The face is huge at address, which does give it the impression that it is very forgiving. After my first swing, I felt my eardrums were going to burst. This thing is LOUD at impact. After five swings, something started to rattle inside of the clubhead. I know the club was designed for golfers with slower swing speeds, but something popping loose almost immediately is probably not a good sign. You could see that the GX-7 was no match for my driver on pretty much any statistic. I will say that the dispersion was a little tighter, but that’s to be expected since there was a significant difference in total distance. Surprisingly, I thought the club performed well for what it is, which is a 3-wood. These are pretty good launch numbers, and not far off from my current 3-wood (a Callaway XR Pro). Using the club off the ground was a little less successful. The commercial claims that the GX-7 is as easy to hit off the turf as your 7-iron. I did not find that to be the case. It’s about as easy to hit off the ground as a 3-wood, which can be hard for many golfers. I don’t think there are any magical qualities in the GX-7 that will allow you to hit this better off the ground than any of the 3-woods from popular manufacturers. In my eyes, the GX-7 is not a complete disaster. But the rattling piece inside the head after several swings did give me pause about the quality of materials used. I don’t believe you’ll find it as easy to hit as your 7-iron because it’s a metal wood with a 43″ shaft. I also don’t think it will eliminate 4-5 bad drives a round; no club can promise that. Based on what I saw, I think the company has manufactured a relatively forgiving 3-wood. Is it better than similar models from companies like Ping, Titleist, and Callaway? Probably not. But it’s not terrible. Because the commercial makes such outrageous claims, I do think a lot of golfers will be disappointed after purchasing this club and realizing it’s not doing anything that special for them. If they had marketed this for what it is, then they likely would not have sold as many as they have over the last several years. Let’s face it; if they keep running the commercials, they must be making money. Running ads for a run-of-the-mill 3-wood would likely not generate too much revenue. Who doesn’t want to add some clubhead speed? The Supersonic X10 says it can do it for you almost immediately. There are two main elements to the Supersonic X10 – the SwingSpeedometer (yes that’s a real term) and the SpeedSlider. The SwingSpeedometer (try saying that then times fast) shows you how fast you’re swinging the club to provide instant feedback. The SpeedSlider is the more critical element of the club. 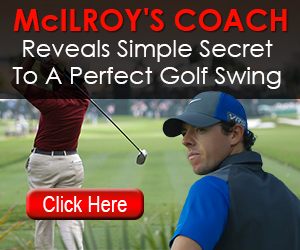 It has two functions – to work as a resistance trainer and promote more “lag” in your swing. There are ten settings on the dial, with one being the easiest and ten the hardest. The idea is that the slider will not release until you cross a certain swing speed threshold and “lag” the club. In theory, you’re supposed to start with the easier settings as you build up speed and then move to the higher numbers. So in short, the Super Sonic X10 is trying to get you to swing faster, with more lag in your swing by providing feedback through the digital monitor and use of a slider that has different resistance settings. I’ll cut straight to the chase; I did not like the Super Sonic X10 very much. The main issue I had was that the SpeedSlider did not seem to function very well. I’m not sure if my product was defective, or if it’s poorly designed, but I could not get the slider to release outside of the easiest setting (1 or 2). I doubt that it was my problem because my driver swing speed has been tested anywhere between 105-112mph depending on the length of the shaft I use. Additionally, I’ve seen my swing on video and in 3D motion analysis, and I certainly don’t release my wrist angles too early. So my main question is if a scratch golfer who has a relatively fast swing speed can’t engage the primary function of the product, what does that mean for a golfer who swings much slower and doesn’t create much lag with their wrists? My guess is they’ll likely be frustrated and stop using it. As a side note, I didn’t find the SwingSpeedometer (there’s that amazing word again) to be very accurate. The fastest reading I could get was 94 mph, and I know I’m swinging much faster than that. However, it might work on a relative basis since you can see if your numbers are increasing or decreasing. Despite the product’s poor functionality, my main issue is that there is not a great system here. If a golfer religiously practiced with the Super Sonic X10 and followed the videos on their site, it is possible they could see increases in swing speed. However, I’m not sure it would be because of the actual product itself, but rather the exercises. My hunch is that the vast majority of people who purchase it are not going to do it because there is not a system in place that’s based on any research and the product seems to have some design flaws.
. I’ve worked with it myself, and I believe it’s far more effective. Also, it’s designed based on the latest research that is used in numerous sports to help athletes increase their throwing motion. Phil Mickelson uses it (along with 350+ other pro golfers), and the results are there. Additionally, I would suggest a golf-specific training program. The Titleist Performance Institute has a vast network of trained professionals that help give you a plan to train your body to be stronger, more flexible, and powerful. It’s an excellent idea for injury prevention, health benefits, and to increase your clubhead speed. I’m currently doing workouts based on their philosophy, and there is a noticeable improvement. Long story short, there are no quick fixes if you want to swing the golf club faster. You have to be prepared to do some work, and I’m just not sure the Super Sonic X10 is going to lead you down that path effectively. The C3i Wedge touts itself as a savior for golfers who struggle with wedge shots in the bunkers and around the green. Long story short, the club has a very exaggerated design with its sole and use of bounce that is trying to eliminate golfers from digging with the leading edge of the club. It also has 65 degrees of loft to help get the ball up in the air quickly. I came into the C3i testing a little skeptical, but I have to say the club was one of the few infomercial products that surprised me. I would even go as far as to say that it does live up to some of the claims it makes. I tried the C3i from many lies in the short game facility at my course. I put it through tight lies on the fairway, fluffy lies in the rough, buried lies, and took plenty of shots out of various bunker lies. Also, I threw it on my launch monitor. Compared to my 60-degree lob wedge it did launch a little higher and had similar spin rates. I’m no Seve Ballesteros out of the bunker, but I would consider myself an overall decent wedge player. I tend to deloft the club and expose the leading edge, so my sand wedge has extra bounce, and I’m a good candidate for a club like this. Out of the bunker, I thought the C3i performed very well. I did what the commercial said I could do, which was take a normal swing and let the club do the work. I didn’t open the face up at all or make any “bunker swing.” The ball popped out of the sand pretty nicely, and the sole did glide smoothly through the sand. You still can hit chunky shots, but I would say the club does a decent job of limiting them. The C3i also did very well out of the rough; the ball gets up in the air very nicely without too much effort. There’s a nice margin of error. If you’re struggling with bunker shots and many other lies around the green, I do think this club can provide you some relief. Since the C3i Wedge has such an extreme design, there are a few things you’re giving up. Because the sole of the club is so large, the leading edge of the wedge is raised off the ground a bit at address. If you have very tight lies on your course, it may result in some skulls. I found that to be visually intimidating when addressing the ball on a range mat or tight fairway lie. I think you’ll be giving up a lot of distance control as well using a wedge that has 65 degrees of loft. The wedge does get the ball in the air quickly, but you’ll need a lot of precision with where you land the ball rather than allowing it to roll out more on the green. Also, it will limit the versatility of shots you can play around the green. It’s a bit of a one-trick-pony, similar to what I found the Square Strike wedge to be. The Square Strike can help you hit low-running chip shots reasonably well, and the C3i can get the ball airborne very quickly from many lies – but that’s about all they can do. Lastly, I don’t think you can use this club outside of 40-50 yards because it has so much loft. Who is the C3i Wedge For? Modern wedge design has come a long way. Most wedges made by the major OEMs are easier to hit than ever. In a perfect world, I’d want golfers to be playing traditional designs because they are more versatile. That being said, I know plenty of mid-to-high handicappers struggle mightily with bunker shots and various other lies around the green. I would say the C3i Wedge can help those players as somewhat of a last resort. If it’s the choice between not getting the ball on the putting surface most of the time with a typical wedge, or being able to land more of your shots on the green with the C3i, then choosing the latter might not be a bad idea. But to be clear, I think learning the proper technique and using a regular wedge is the better route. Overall, I was impressed by the C3i Wedge. While some of the claims might be a little exaggerated, I think this club delivers on its ability to get the ball up quickly out of various lies without perfect technique. I wouldn’t call it magical though; don’t expect to become Phil Mickelson overnight. You’ll be making some tradeoffs because of the club’s design, but if things are that bad for you around the greens, you might not even care. Additionally, the club looks funny so expect to take some flack from your buddies if you show up to the course with it. The B1 Blue Strike training aid is one of the more popular “as seen on TV” products. Famed instructor Hank Haney endorses it, and its primary function is to help improve your impact position and prevent a popular swing flaw called scooping, which occurs when your hands are behind the ball at impact. After just minutes of practice with the B1, the golfers made amazing progress in their ball-striking, distance, and trajectory. If you want to learn more about how the product works, I suggest watching these series of videos with Hank Haney. I’m not against what this product is trying to promote, which is to get you in a more functional impact position with your hands slightly ahead of the ball at impact. I’ve done this kind of practice myself, and it has shown very good results in my ball striking. My main problem with the Blue Strike is that the first two elements are not very functional. The impact slider didn’t seem to work for me. If I firmly attached it in place, which you’re supposed to, it would not release while I swung. Then if I kept it loosely attached it would not work as designed. I’d chalk this up to poor product design and quality of materials (similar to what I experienced with the Super Sonic X10 slider). The impact bow seemed to be a bit finicky as well. I think it could provide some value, but can be easily cheated. , which is a popular training aid. It’s very difficult to strike it properly unless there is some forward shaft lean at impact, but I do believe it could be “cheated” a little more easily than a product like the DST Compressor, which I practice with myself. Long story short, only one of the three elements seemed to work. On top of that, if a golfer tries to satisfy all three of the elements at once, I think it would be overload, which begs the question why use this versus some of the other more popular impact trainers? I don’t dislike the B1 Blue Strike entirely, but I don’t love it either. In my opinion, this product has the potential to overload recreational golfers, which means it could end up in the garage quickly. The Square Strike Wedge is another commercial you’ve likely seen several hundred times. It’s designed to help golfers who are tortured by poor wedge play around the greens. Golf is all about managing expectations. All of these products make such big claims that it’s almost impossible for golfers not to be disappointed by how they work. Luckily they all offer money-back guarantees, and I hope golfers take advantage of the offer if they’re not satisfied instead of letting them collect dust. On the whole, I can’t strongly recommend any of these products. Some of them were a bit junky and suffered from poor design and material quality. While others weren’t all that bad, I viewed them as a last resort for struggling golfers (C3i and Square Strike). So the next time you see one of these commercials and are tempted to buy one of these products, just remember that the reality might be a little less exciting than their claims.